Elk Ridge Covert Spear Point With Sheath - 3Cr13 Stainless Steel Blade, Non-Reflective Finish, Hollow TPU Handle - Length 14” | BUDK.com - Knives & Swords At The Lowest Prices! 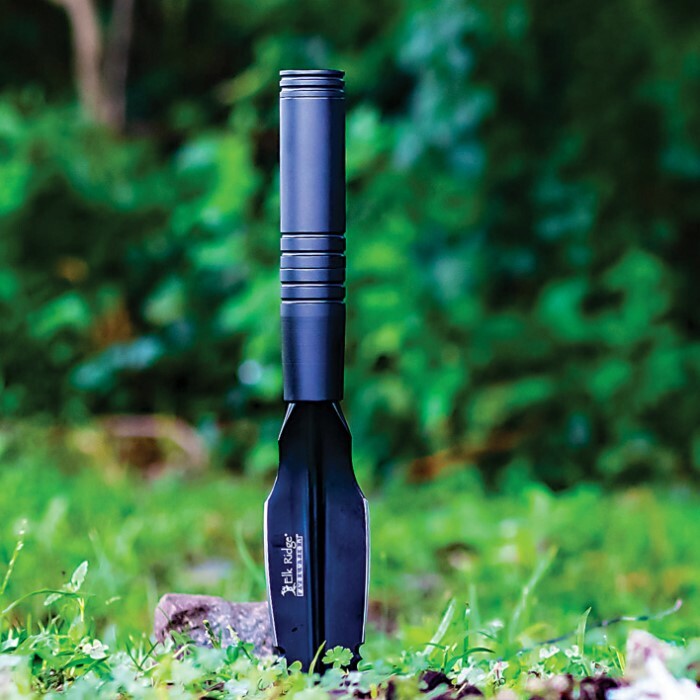 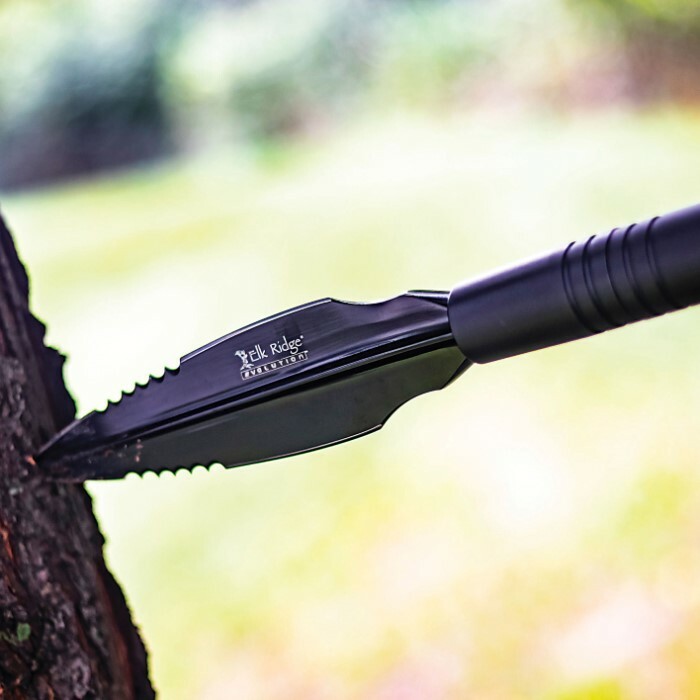 The Elk Ridge Covert Spear Point is a priceless survival tool to have with you for a variety of situations including camping, hiking and as a necessity for your bugout bag. 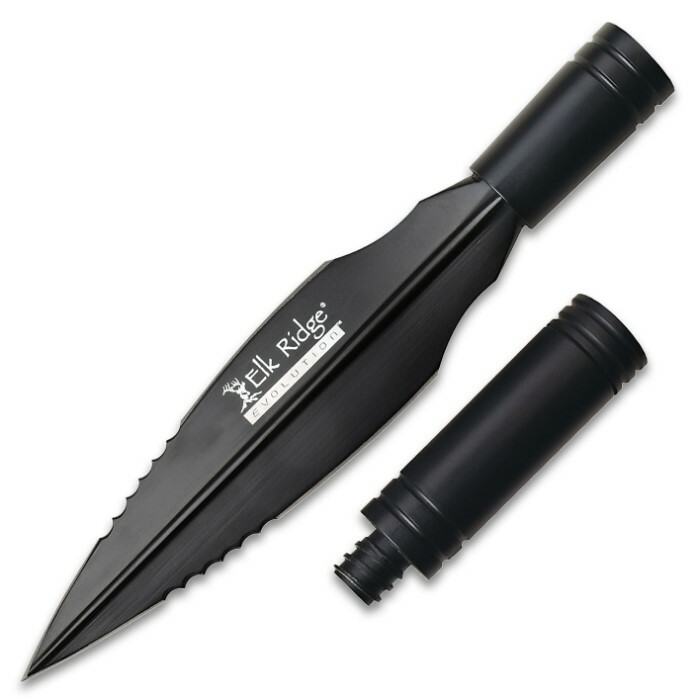 It has a double-edged, 8” 3Cr13 stainless steel, spear point blade with a black, non-reflective finish and partial serrations. 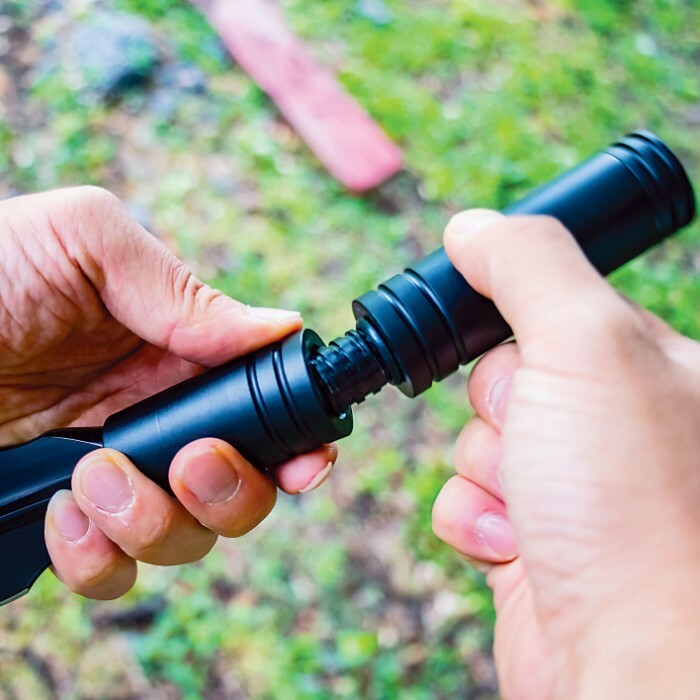 The tough TPU hollow handle is threaded to fit most broom handles and features a screw-off cap with a compass and contains a small survival kit inside. 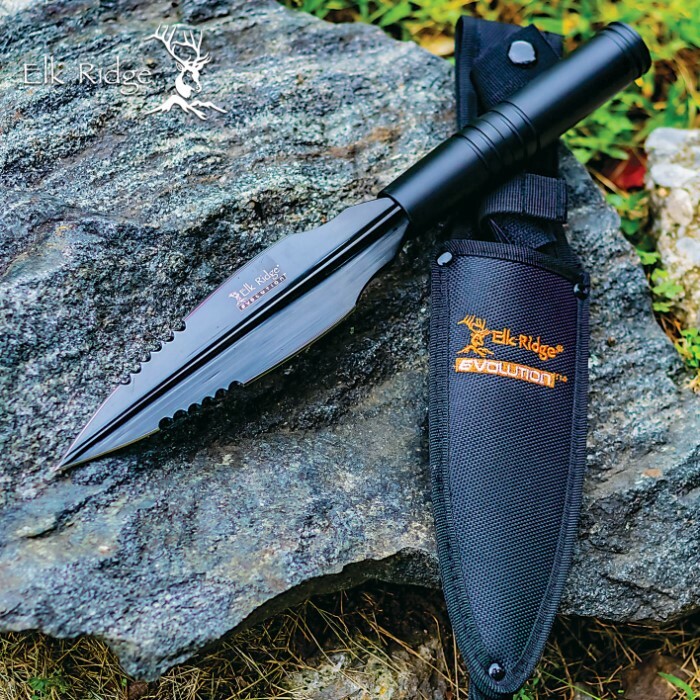 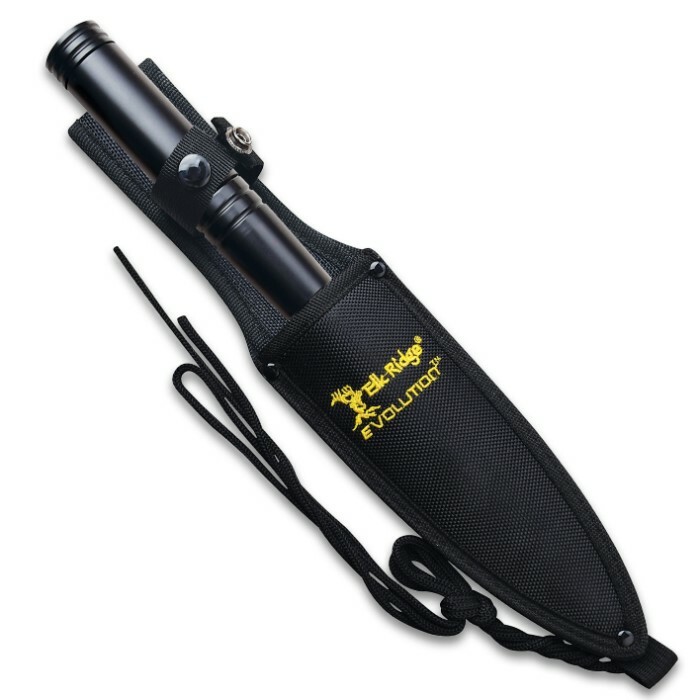 The 14" overall spear point can be easily stored and carried in the included sturdy nylon belt sheath.